The future of Mongolian rangelands is at a crossroads. The decision is whether to try to control livestock numbers or to allow (or encourage) numbers to increase. Many believe that the latter will result in irreversible changes, including those called ‘desertification’. Before 1993, while still under the influence of the Soviet Union, nationwide livestock numbers hovered around 50 million animals*. Beginning in 1993, livestock numbers marched upward about 30%, then crashing during consecutive harsh winters combined with drought conditions, known as a dzuds. These are terrible disasters in which vulnerable herders lose their livelihoods. Numbers rose again and crashed again in the next dzud, and have risen yet again to about 75 million. And there are proposals that the true carrying capacity is still distant at 90 million animals. In this context, I was asked the question: “How far are we from passing the tipping point of turning our rangelands into desert?” The question was asked by Green Gold Mongolia, a Swiss supported donor organization focused on poverty reduction. The response below was published in the June 2014 issue of Монгол малчин (Mongolian Herder) magazine in anticipation of a conference on rangeland management occurred on June 16 in Ulaanbaatar. I will have a report later on that, but for now, here was my response to the question. I’d be interested to hear reactions to it. “Ecological science, particularly with regard to Mongolian rangelands, is not able to estimate when a tipping point will be passed. Nonetheless, it does provide a framework for responding to the threat of desertification tipping points. Desertification involves several kinds of changes. Some of these changes, such as reductions of desired plant species, can be reversed over relatively short periods of time. Other changes, such as the loss of plant species or dominance of unpalatable plants, may take decades or more to reverse, and therefore require interventions such as species removal and active restoration. Finally, plant cover loss associated with soil degradation can cause changes that take many decades to recover or are irreversible—this is true desertification. The studies by Green Gold and others suggest that irreversible degradation is occurring in some places due to plant species loss and soil erosion and these processes should be cause for great concern. But the good news is that while some places already appear to have crossed tipping points in response to mismanagement, many others are expected to be recoverable with reductions to livestock numbers and changes to the timing of grazing. Desertification processes are difficult to detect and are patchy (variable in space). This is an important problem because it makes assessment difficult—how will we know when we are approaching a possible tipping point? The solution to this problem is to use science-based understanding to define early warning indicators based on clear conceptual models of how rangeland ecosystems change. Then to use ground assessment, monitoring, and remote sensing to detect these indicators and respond to instances of desertification. In general, persistent low vegetation cover and high bare ground cover signal an increased vulnerability to desertification. Because plant cover in Mongolian rangelands is highly variable due to weather variations, low cover of key plants or all vegetation does not necessarily mean that a persistent change is imminent, but it is a necessary condition for persistent change. Based on the current conceptual models and data collected for the Ecological Site Core Group by Green Gold, many sampling points exhibit reduced cover of key species relative to healthy conditions that indicate where changes in grazing management could initiate recovery. Given the difficulty in assessing tipping points, it is prudent to avoid them by increasing resilience. In arid parts of the United States, for example, historical grazing management was oriented toward using as much of the available forage as possible. The goal was to get livestock through the droughts until rainfall came again. Then in the 1950s the Great Drought occurred, seven consecutive years with below average rainfall, sometimes far below average. During this period many patches of grassland were lost and never recovered their former composition and grazing value. As a consequence of the learning during these and previous drought episodes, stocking rates are now low and flexible. Good years are viewed as an opportunity to add surplus stock, but the starting point is to use conservative stocking rates. During droughts, stocking rates are not so high as to contribute to significant animal mortality and persistent loss of valued forage plants. In addition, conservative grazing can gradually improve forage quality and makes drought effects less severe. Conservative grazing means that we try to distance ourselves as much as we can from a possible tipping point (that is, increase resilience). One important reason for resilience-based management is that we cannot know exactly how far we are (in terms of stocking rates or vegetation cover) from a tipping point. This is because multiple factors are involved. Climate variability, including drought periods or other weather extremes, is predicted to increase in frequency. In addition to allowing for increases in forage quality, conservative grazing serves as a form of insurance against extreme events (such as dzuds) over which we have little control. This is the concept of resilience: management that allows human communities and ecosystems to persist and recover from extreme events and human errors. An even better question than “how far are we from a tipping point” is “how can we build resilience for herding communities, vegetation, and biodiversity in Mongolian rangelands”? The good news is, based on the data I have seen to this point, Mongolia has ample opportunity to build resilience. How long this opportunity will last will depend on the interaction of weather and management in the coming years. We cannot say how long this opportunity will last because we cannot predict the weather and because our knowledge of management is usually delayed. All should be aware of the desertification episodes in other parts of the world, including my home in the southwestern United States. These past episodes were not predicted. There is no better time for change than the present." Permalink Submitted by JaminJ on Tue, 06/10/2014 - 11:55. As usual, your response is right on the money. I particularly like how you re-state the question and turn it from a passive response to land management into a proactive approach to land stewardship. That being said, I think there is a general need to further develop the ideas of resilience and resistence so that they are more comprehensible by land managers and the general public (and folks like me for that matter). Otherwise I think they are too abstract and distant for folks to incorporate into their worldview. This week I am assisting Rick Miller in beta-testing a resilience assessment of Great Basin sagebrush communities with regards to cheatgrass ivasion/resistance. Yesterday I asked him about the potential to expand his species and region-specific assessment into a broader assessment of the general indicators of rangeland resilience. I think this would look a lot like a Rangeland Health Assessment, but would be more explicit about the relationship between indicators and resistance/resilience, and could possibly entail different or additional indicators. There might also be value in a resilience assessment that does not require an ESD or reference worksheet, but instead evaluates the resilience of a site independently. This could still be used to inform an ESD/STM about the resilience and resistance of different ecological states within ecological sites, but could be assessed without the reference document, sort of like Pedoderm and Pattern Classes. Perhaps a resilience assessment could even be a summary assessment of other existing protocols, somehow incorporating IIRH, PPCs, and other indicators to describe resilience more explicitly. My main point is that resilience thinking is the direction we should be headed in, but that we are going to need some significant scientific leadership to help us move management progressively down that path. Permalink Submitted by Brandon Bestelmeyer on Tue, 06/17/2014 - 19:23. Thanks Jamin. Your proposed approach is a great idea. The focus of resilience is on managing state change (which can include societal "states"), so it makes sense to choose indicators that relate to the mechanisms and likelihood of state change in the particular case. The mechanisms may vary a lot and so should the best indicators, and there's often a lot of science to point us to the best indicators. Here in Mongolia, I think the most useful indicators of resilience loss are pretty simple--extremely high levels of defoliation and low ground cover. The state changes are not very complicated, not really a big role for invasive species or tricky feedbacks. Resilience can be promoted by a take half-leave half concept. I think rangeland management has been working with resilience for decades without calling it that. Studies in Comparative Range Management? Permalink Submitted by Jim Thorpe on Mon, 07/07/2014 - 18:08. Since becoming a rancher/range manager nearly 15 years ago, I have found it both fascinating and instructive to learn (albeit remotely) about the varied experience in managing diverse rangelands around the world. Basic principles are expressed in localized context, ecological, social and economic. At a Society for Range Management meeting a few years ago I was able to catch symposia on both Argentina and Mongolia (floating between them, as they were, alas, concurrent sessions). The trend towards Argentine land conversions, noted in Brandon’s earlier post, was then emerging as a concern; the post-soviet era herding "industry" boom-bust phenomena in Mongolia was as well. I remember asking, during a break, one of the Mongolian presenters how their legendary grazing lands had been managed before the soviet period of collectivization and centralized control. His answer (if I understood correctly) was that during that time of semi-feudalism, over-seers would determine the who/when/where/how many of the grazing circuits of their great herds and flocks of various livestock; generational place-based knowledge presumably produced effective and resilient resource management. So this begs a question, has any research been done on this past historic practice, it’s legacies, and what – if any – “lessons” these might have that could be applied to managing Mongolian rangelands today (with decision making being supplanted from feudal overlords to today’s on-the-ground managers – herders – themselves?). Did they have their own formulation of "take half - leave half?" Mongolia seems to be a society with deep appreciation, even nostalgia, for its storied past; nourishing this sense of time and place by highlighting the what/why/how of past sustainbility resilience (if indeed it was) and facilitating the development of practical, culturally adapted applications of range science (noted in the post) seems to be the challenging task at hand (in Mongolia and indeed world-wide): promoting sustainability and resilience. Kudos to those like Brandon and all his colleagues for attempting it! Permalink Submitted by Brandon Bestelmeyer on Tue, 07/08/2014 - 11:40. Thanks Jim. One approach being advocated is to give Pasture Users Groups (PUGs) contracts for exclusive rights to graze traditionally used areas. But local governments are empowered to enforce contracts, land use plans decided upon by the PUGs, and overall stocking rates as well as to provide support for rangeland developments. This kind of approach is what Maria Fernandez-Gimenez at Colorado State called formal and informal regulation (or co-management) that characterized past eras as you describe. Another idea being discussed is to introduce a grazing fee system that is paid by herders to local government so to encourage sustainable stocking rates and off-take and then to invest the funds in rangeland improvements and disaster relief. The key problem now is a legal structure to allow this happen, which is tangled up in other land uses that have delayed the passage of revised Land Law or Pasture Law. But the Swiss-supported group we have worked with, as well as other researchers, are studying the PUG approach with particular administrative units that have volunteered to use this approach, often with favorable results. The main problem however, is the inability to control landscape-level stocking rates and, therefore, out-of-season grazing. In a sense, Mongolia has already crossed a threshold that it will be difficult reverse: how will livestock numbers be reduced such that herders livelihoods are sustained--or will some need to leave herding altogether in certain areas? The solutions of the feudal era might not be as desirable now, but a combination of incentives, regulations available under existing laws, and improved market access will be needed for the near term to make it happen. Many herders know that this needs to happen as well. Our contribution would be to provide ecological site descriptions that help the PUGs create land management plans. Permalink Submitted by beldredge on Mon, 11/24/2014 - 09:32. 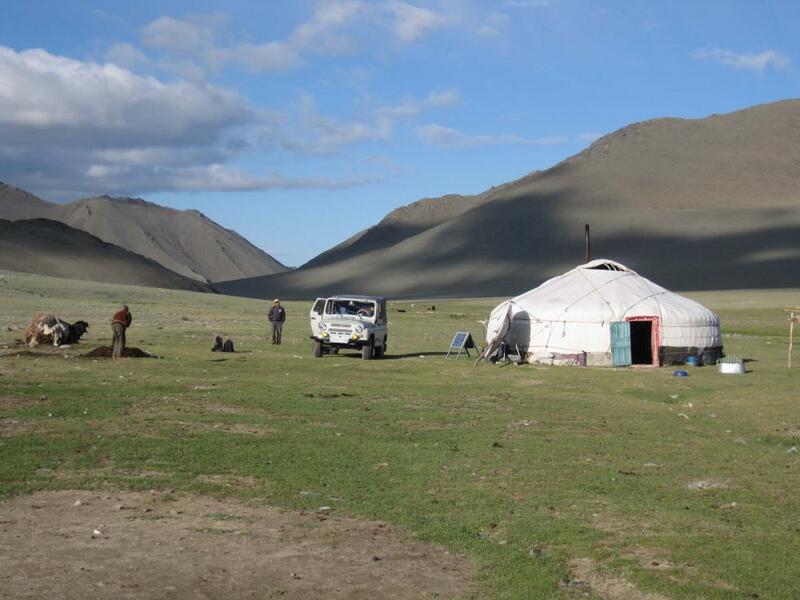 This paper presents an Icelandic soluton as a potential model for Mongolia, however that model included a mix of private land ownership and regulated use of the commons. Mongolia is almost entirely commons, so the Mongolian solution will need to be distinctly Mongolian. Still, I think the document above provides a good explaination of the situation in Mongolia as of 2009. I hope that the Mongolian governments implement a regulatory model that doesn't negate the essence and cultural basis of the commons, which is to share the land. It sounds like they are on a reasonable path at this time. Thank you for your analysis of the situation. I hope you will keep us up to date on future developments.